Several spectacular natural features come together in harmony at Milford Sound. Milford Sound is one of New Zealand’s most stunning natural, located deep within Fiordland National Park on New Zealand’s South Island. It is technically a fiord, a coastline where sea waters flow between cliffs or steep slopes. It rises high above deep blue waters, with lush green forestry covering its sides. 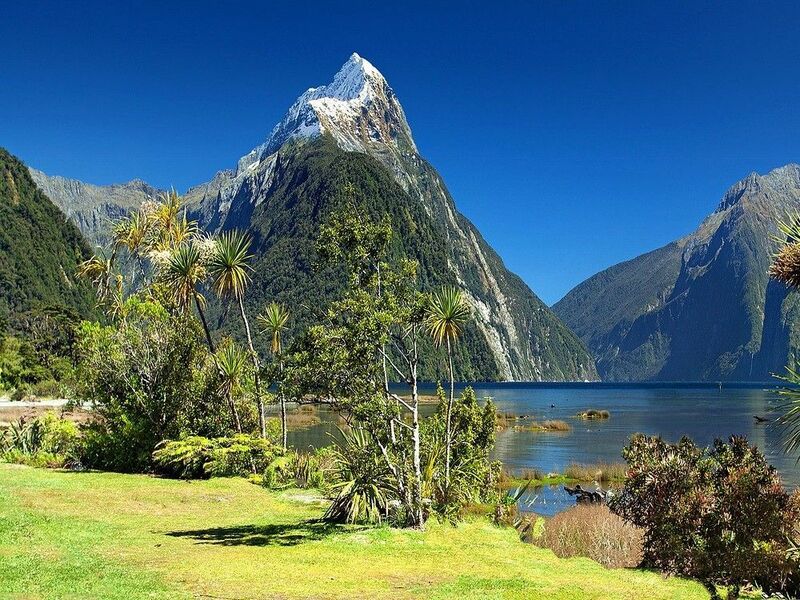 It’s no wonder Rudyard Kipling called Milford Sound the eighth wonder of the world. Take some time for a walking trip around the sound to truly take in all of the natural beauty it has to offer. Explore its cliffs and waterfalls, where rainbows often appear when sunshine hits the water at just the right angle. Alternatively, you can take a kayaking or boat cruise tour around the sound, or even a scenic flight!